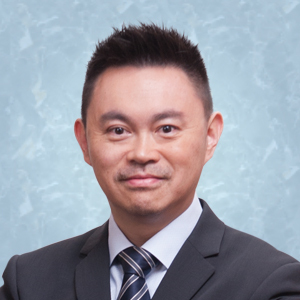 Dr Duncan Wong is responsible for strategic leadership, development and planning of ASTRI’s Security and Data Sciences Technology Division and FinTech initiative, focusing on cybersecurity, behavioural authentication, Blockchain technology, deep learning, and big data analytics. He is also responsible for building and leading R&D teams, as well as engaging customers, partners and stakeholders from both public and private sectors. Information security and cryptography are his primary R&D interests, in particular, cryptographic protocols, encryption and signature schemes, e-payments, crypto-currencies, and anonymous systems. Dr Wong has extensive experience in formalising security models and constructing provably secure cryptographic protocols and schemes. He has authored over 200 publications in cryptography and information security. As a professional, Dr Wong takes keen interest in professional activities. He has served as a member as well as the chair of the programme committees for over 90 international conferences in cryptography and information security. He is currently an editor of International Journal of Applied Cryptography (IJACT). In the past, he had been a professor at the Chinese University of Hong Kong, then the City University of Hong Kong for 12 years, before joining ASTRI. At present, he is still involved with the Department of Computer Science at the City University of Hong Kong. Dr Wong received his Bachelor of Engineering degree in Electrical & Electronic Engineering with first class honors from the University of Hong Kong in 1994, MPhil in Information Engineering from the Chinese University of Hong Kong, and PhD in Computer Science from Northeastern University, Boston, MA, USA in 2002. He was awarded the membership of Phi Beta Delta Honor Society for International Scholars and won the Outstanding Research Award in the College of Computer Science during his doctoral study. He was granted the post of Hangzhou Qianjiang Distinguished Expert in 2011 for his expertise in cryptographic protocols and schemes. Dr Wong graduated 10 PhD students under his supervision in the last 10 years. He also provides security consultancy services to the business sectors as well as to public sector institutions.